For many families in the tri-state area, hosting a big, memorable celebration for their daughter's 16th birthday is a rite of passage. It's her night to feel like royalty – she's dressed in a ballgown and tiara, surrounded by family and friends who are there to celebrate the incredible young woman she's become. Your little girl only turns 16 once, and it's important to find a venue that can create the event she's envisioned. 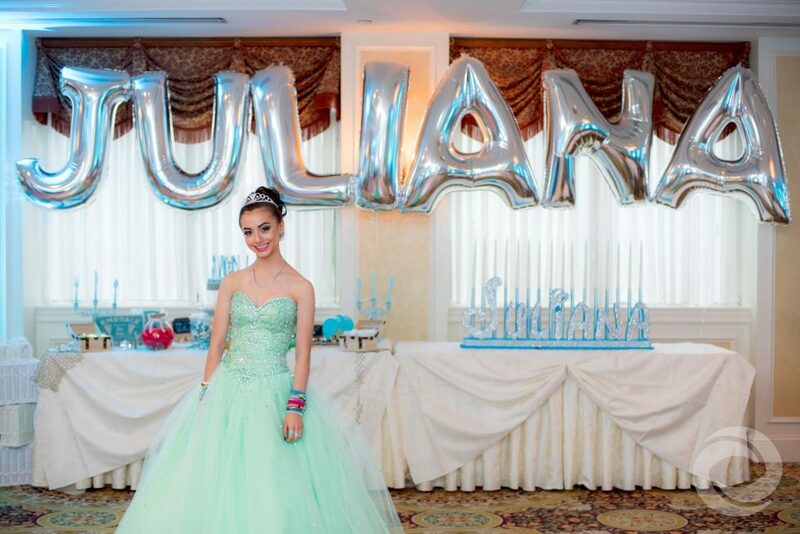 Hurricane Productions has been a part of hundreds of New Jersey Sweet 16 celebrations over the years, and we've discovered some event spaces that pull out all the stops for this very special birthday. 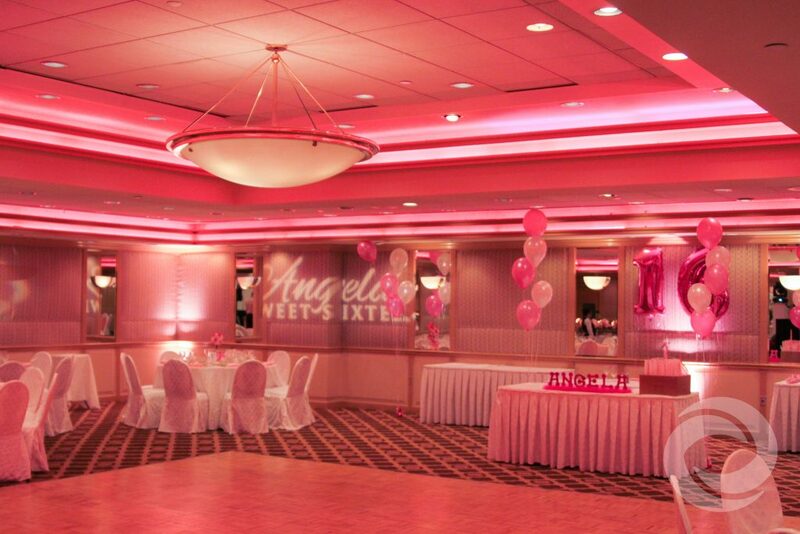 In alphabetical order, here are six Central Jersey Sweet 16 venues we love working at. Bridgewater Manor aims to provide high-end service for its social events, small or large. Each event is assigned a personal party manager to oversee every detail, including white-glove table service, special décor, tent setup for outdoor parties, and even group activities. The Manor's Sweet 16 Party Package includes a 30-minute hors d'oeuvres cocktail reception, your choice of display stations, and a sundae bar plus tiered birthday cake. Mocktails and a chocolate fountain can be added to your package for an extra-special touch. Your guests are sure to be impressed when they walk in and see The Imperia's signature double staircase welcoming them to your daughter's Sweet 16. Each of this venue's three gorgeously decorated ballrooms can be divided into separate areas to create the perfect layout and room size for your party. In addition to excellent service and ambience, The Imperia also offers phenomenal outdoor backdrops for family portraits, including its private stone patio, waterfall garden, marble gazebo, and benches. At Knob Hill Golf Club, your guests will enjoy a relaxed, comfortable atmosphere with a fantastic view of its sprawling golf course. Its beautiful ballroom can accommodate up to 175 guests, and the menu options are seemingly limitless. Knob Hill's affordable Sweet 16 Package (less than $40 per person) includes butler-passed hors d'oeuvres, a plated salad, a choice of three entrees and a side, and a sundae bar or custom cake. If you're hosting a large celebration for your daughter's 16th birthday, Pines Manor is a great choice. This conveniently located, exquisitely decorated venue can effortlessly accommodate up to 1,500 guests, offering a customizable menu and impeccable service. Add sophisticated "finishing touches" such as ice sculptures, fruit carvings, floral arrangements, imported silk wall coverings, and damask linens. Sterling Gardens is perfectly picturesque before you even step foot inside with its newly renovated gardens, stone pathways, water fountain, and white pergola. When you pass through the elegant double French doors to the ballroom, you'll find a tiled dance floor with an enormous, sparkling chandelier above it. The Sterling Gardens Sweet 16 package includes custom colored uplighting, your choice of up to five delectable food stations, a customized tiered cake, and your choice of two additional dessert stations. Located in the Holiday Inn East Windsor, the elegant Windsor Ballroom offers endless options to personalize your event. 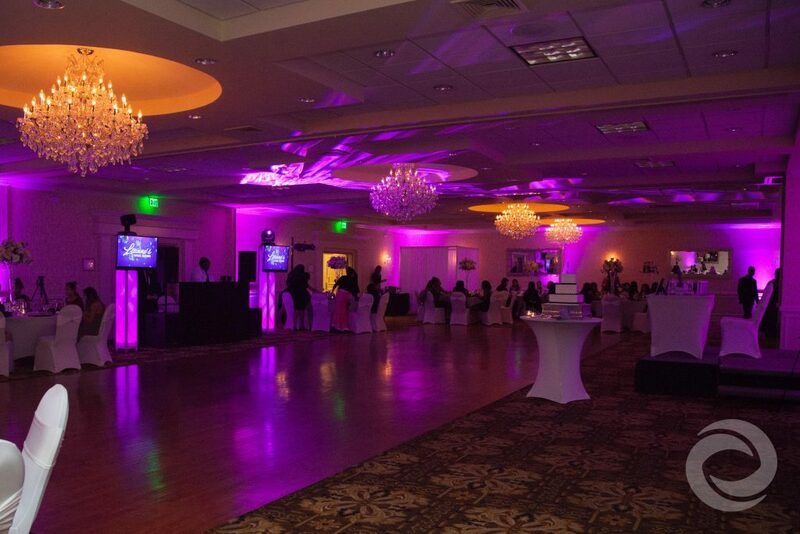 The "Sweet Teen" package includes LED Hollywood lighting in your choice of color, a pre-party hors d'oeuvres reception, specialty fare stations, and a custom sheet cake and sundae bar for dessert. Add a Signature Mocktail, personalized printed menu cards, fitted modern chair covers, and more. Discounted hotel accommodations for guests are available. Of course, the venue is just one element of your daughter's big day. 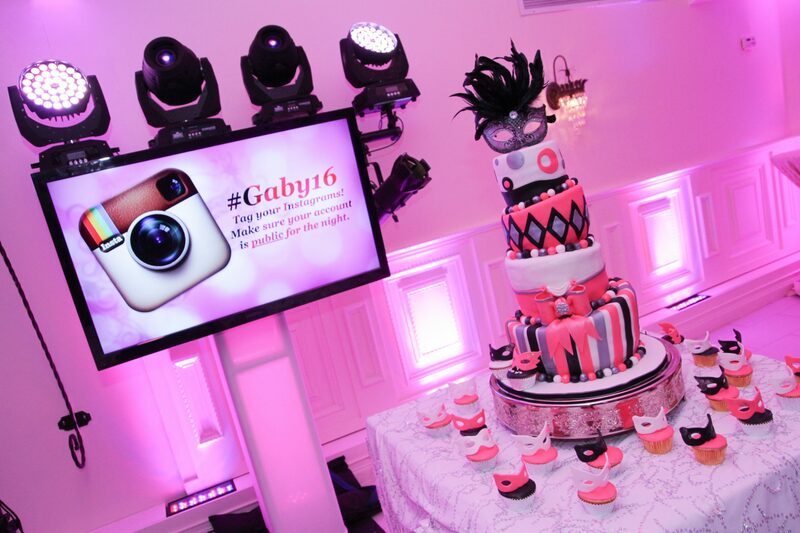 To make her Sweet 16 unforgettable, you need a top-notch media and entertainment team to keep the party going and capture every moment of the celebration. 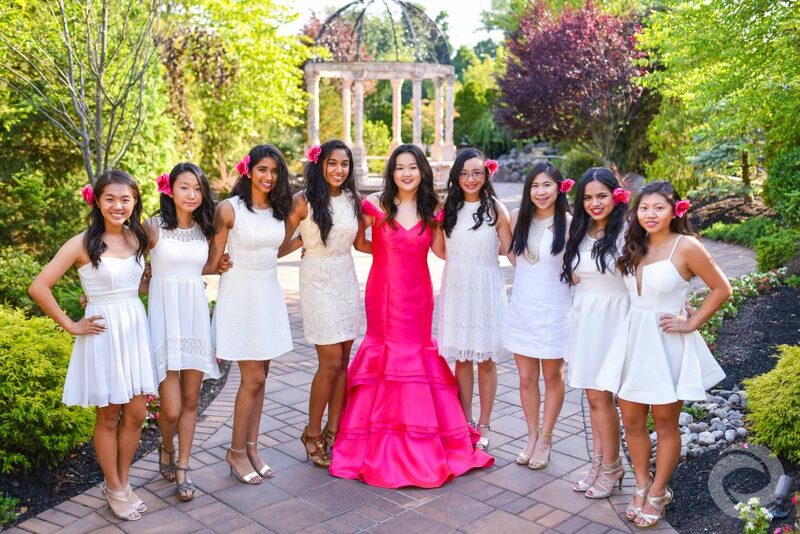 Hurricane Productions offers a full suite of event services for all special occasions, including Sweet 16s and Quinceañeras. In addition to providing a DJ/MC, photographer, videographer and lighting, we can also create personalized graphics, integrate Instagram and Snapchat features, and set up a photo booth to take your event to the next level. Contact us or visit our pricing page to learn more about our all-inclusive service packages.